A few months back, Bennett Graphics made an investment in the labeling and flexible packaging business. We researched the space, bought the equipment and added experienced staff. It was our goal to deliver our same attention to detail and client experience finesse to an area of the industry that has often been more of a commodity. We’re very excited by what we’ve seen. The market has responded and it turns out that almost everyone we work with has some sort of need in this area. 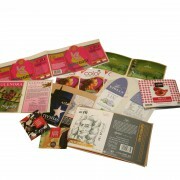 Labels, packaging and flexible packaging have applications well beyond what we expected. If this is a service that touches your business or organization, please let us know. We want to sit with you, hear what you do and earn a solid understanding of what would make your business run better. We’ll enjoy brainstorming with you to arrive at exactly the right program that ensures you have exactly what you need when you need it. We’ll protect you from inventory obsolescence in the process. At Bennett Graphics we really feel that printing should be easy for you. If it isn’t, we haven’t done our job. We’re excited to bring that same idea to your packaging. Call us. We’re adding people and new services continuously. Bennett Graphics is a fun place to be part of whether you’re a vendor, employee or customer. http://www.bennettgraphics.com/bennettgraphicswordpress/wp-content/uploads/2016/03/003.jpg 2304 3456 Bill Gillespie http://www.bennettgraphics.com/bennettgraphicswordpress/wp-content/uploads/2015/07/bennett-graphic-logo.png Bill Gillespie2016-03-01 14:23:052016-03-01 14:23:05Bennett Graphics loves labels!